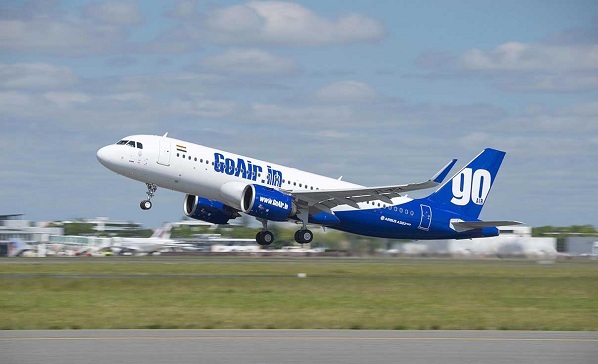 Indian low-cost airline Go Air has chosen Airbus for its further expansion plans by signing a memorandum of understanding for 72 A320neo aircraft at the Farnborough International Airshow. Go Air, a Wadia Group company, announced its latest order following a similar agreement for 72 A320neo placed in 2011 bringing the total order book to 144 aircraft. The first two aircraft from this order were delivered in June. With the NEO induction, Go Air will expand its network and offer fliers better connectivity and continue its growth as one of India’s preferred low-cost airline. “The new A320neo provide us the competitive edge to achieve our growth targets and help us strengthening our presence in the wider region. “It also reaffirms Go Air’s commitment to deliver the most modern, comfortable and excellent air travel experience to all customers as well as to strengthen the sustained positive growth and business expansion of the company. “The new aircraft will help us in unlocking new domestic routes while providing a springboard for continued international network expansion in the years to come,” said Go Air chief executive Wolfgang Prock-Schauer. Go Air is the first airline to use A320 NEO in Spaceflex configuration with 186 seats without compromising on the passenger leg room and comfort. This configuration will also enable better service and availability during peak season for the travellers.